So you have stained teeth and you need to whiten them as soon as possible before your wedding day in 4 months. What are your options? Is it even possible to whiten stained teeth before you have to take your wedding pictures? Yes, it is possible. But how? We’re going to talk about different stained teeth treatments that can be done at your cosmetic dentistry office. Join us to learn more about your options. In-office teeth whitening— ZOOM!® Whitening and take-home Opalescence® are two excellent whitening options that are very effective at removing tooth stains. With either of these options you can say goodbye to stained teeth once and for all. Porcelain veneers— Porcelain veneers are an excellent way to get rid of hard-to-remove tooth stains that cannot be removed with typical whitening products or services. Tooth bonding — Dental bonding can sometimes be used to cover the surface of stained teeth. The result is a white smile that you’ll be proud of. Use proper tooth brushing techniques. Avoid foods and beverages that can cause tooth stains. Use over-the-counter whitening products (but, remember, these products can only potentially remove surface stains). Keep in mind that treatment options for stained teeth vary depending on what caused the discoloration. It is always best to get checked by a cosmetic dentist to find out which service is right for you. So now that you know the cosmetic dentistry options to whiten stained teeth, do you think it’s worth going to the dentist for treatment? Yes, it’s worth going to the dentist for stained teeth treatment! If you live in or near Fairfax, VA and you need to whiten your stained teeth, call our cosmetic dentists at Smiles at Fairfax Corner. 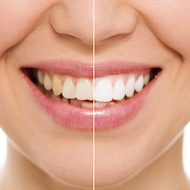 We can whiten stained teeth with teeth whitening and veneers. If you’d like to find out which cosmetic dentistry service is right for your smile, just call us. When you call us, let us know that you’re interested in cosmetic dentistry and you’d like to schedule a cosmetic dentistry consultation appointment. 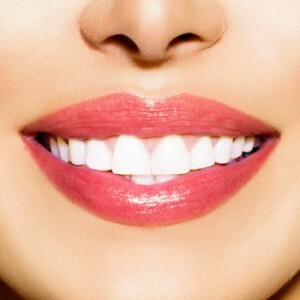 Our contact information can be found on the following webpage: https://www.smilesatfairfaxcorner.com/dental-services/. At the appointment, we will listen to the concerns you have about your smile. Then we will talk to you about all of the options we recommend to whiten your stained teeth. In the meantime, we invite you to read the informative article we wrote for those who are embarrassed to smile and who want to learn more about cosmetic dentistry. You can find the article here.